DropShip Spy Review | Updated For 2019 | Read This Before You Sign Up! Dropship Spy is a drop shipping service designed to help find the latest hottest products for e-commerce retailers to sell. Offering various tools designed to make running your online businesses marketing campaigns that bit easier, Dropship Spy has a lot to offer members, with several membership tiers available. Anyone operating their own online retail business may benefit from using Dropship Spy. Like many dropshipping search tools, Dropship Spy makes it possible to run a successful retail business from the comfort of home. Of course, like any dropping shipping products, Drop Spy isn’t perfect, but could certainly help many people looking for products to sell on their online stores. Let’s take a closer look at Dropship Spy and whether it’s a worthwhile investment for online business owners. Dropship Spy is basically a useful piece of software that tracks various products to see how they are selling and performing across various social media platforms and online stores. You pay a monthly fee for access to all these products and other useful tools to help market them on your store and across social media channels. Basically, it offers plenty of handy features to help run a successful eCommerce store. A lot of the information provided could be sourced on your own, but the time and effort saved by using Dropship Spy makes very appealing, as does the useful marketing tools to improve chances of selling products. Dropship Spy’s user interface is quite impressive. You log into your account and are taken to the homepage, where you navigate through the various features and tools. These are all clearly listed on the navigation tab, with each tab taking you to the respective page, which is also laid out clearly. Dropship Spy is mainly a product finder service. It sources all the latest products worth selling at your online store and gives you lots of useful marketing info to go along with each product. With this, store owners do much less work researching products and their analytics. The winning products section is the bread and butter of Dropship Spy’s service. Here, you find all the latest products that the company has tracked that are performing high across various metrics. The product finder has a nice variety of products, covering almost any niche you can think of, so it’s certainly useful for finding just about anything you may want to sell online. Winning products are the products that are currently selling high, making them a suitable option for making profits. However, sometimes these have already peaked in terms of sales, especially with more people jumping on them, but it’s still great for finding all sorts of stuff to sell. Promising products is the second product finder Dropship Spy offers. Unlike winning products, these are yet to be deemed hot sellers, but are currently on the rise with lots of potential to sell well. For some, this section has more potential to yield higher profits. Both product finders offer plenty of good product choices for online retailers. Picking and choosing from each section is probably the best route for success, but the features are very useful in any case. Whenever you select a product from either product finder list you get lots of helpful information that makes it easier to decide whether its worth buying and selling. With this info much of the guesswork is removed from buying and selling products. You get lots of up-to-date information about the products and they are currently performing on social media, letting you choose the best products to market for your store. There’s a lot of data to divulge, and some of these features aren’t included with all price options, which we’ll cover more closely in the pricing section. This section gives you information on all the current suppliers of each product. You get a selection of different supplier links to choose from, with each one coming with information such as feedback score, product rating, amount sold, number of reviews, product prices, shipping fees etc. There is also information about the potential prices and profits to be made selling these products. Remember, these are based on each suppliers’ own rates, so the rates are not guaranteed, although it does save the time and effort needed to make these estimates on your own. Dropship Spy chooses only the best vendors to supply products, which is good as it takes much of the time and effort needed to source your own supplier for certain products. Every product on Dropship Spy comes with an engagement rating on the engagement score calculator. This is basically data about the product’s performance across social media, giving info such as comments, likes, and shares on Facebook. This is good for gauging whether a product is going viral or generally performing well on social media. Retailers can use this info to choose the best products to build Facebook campaigns around. Another useful feature from Dropship Spy is their free advertising info. This is basically free copy and videos to use on websites and social media, meaning you don’t need to worry about writing any engaging copy or product descriptions as Dropship Spy provides templates for free. The videos are especially useful as they are made by Dropship Spy, meaning there is no risk of getting your Facebook Ad account banned. Given how good ad campaigns on Facebook do with videos, it’s a great feature that makes marketing so much easier. To better understand how well products are selling, Dropship Spy provides access to sale reports from both Amazon and eBay. This is a relatively new featured and one that further helps with market research. This feature is one that is unique to Dropship Spy and particularly useful for people making their first attempt at Facebook ad campaigns. This is because it helps create a suitable advert on Facebook by giving suggestions for related interests for each product. For instance, if you’re buying a health and beauty product then you’re given suggestions for interests on Facebook that are similar to this to help target a niche audience, such as websites, magazines, communities, stores, public figures, and brands associated within each niche. This is so handy for building specific Facebook audiences for targeting products. There are various categories to help build audiences for any product you might sell, removing much of the marketing work needed when attempting to target your ad campaigns from scratch. Facebook is not the only social media platform that Dropship Spy lets you use for marketing products. Those interested in using Instagram influencer marketing campaigns can use the Influencer Database to search for suitable candidates to advertise the products. Instagram influencers are a worthwhile investment for advertising in many situations, especially when you have all the useful info Dropship Spy provides on the Influencer Search too. This includes information about their number of followers, engagement scores, and information about the average engagement (number of comments and likes). Not only that, you get information about the pricing of each service, so when combing all this information you can determine whether the influencer is worth investing on. Again, it’s just more marketing research that Dropship Spy does for you, allowing you to devote more time running other aspects of the business. Nothing helps build customer confidence on your products than a good review. With Dropship Spy’s product review downloader, you can embed reviews of the products you are selling from Amazon and AliExpress and embed them onto your website. Reviews are an often-overlooked part of successful marketing, as a product with no reviews tends to raise doubts in the minds of some buyers. The more product reviews the easier it is for customers to buy with confidence, so this is certainly a useful feature worth taking advantage of. Adding these reviews couldn’t be easier either, simply download the appropriate reviews and then upload them to your eCommerce store using the CSV file. Finally, you can make requests directly to Dropship Spy to help with your marketing needs. This includes requests for promising products, Facebook targeting, and Instagram influencers. Requests are very useful for anyone looking to sell niche products but Dropship Spy lacks appropriate information. Basically, you’re requesting them to do a bit of research on your behalf to help with those more unique products and target audiences’ people may be struggling with. Dropship Spy currently has four pricing options for membership to the site. Each tier offers different levels of access to each of the features and tools we’ve discussed above, so bear this in mind before investing in the product. Yes, Dropship Spy is available to use completely free of charge. Kind of. Free membership doesn’t include most of the useful features, although does grant access to the main database of winning products. You get some info on each product too, including how it performs on the engagement score calculator, product description, and best pricing options. 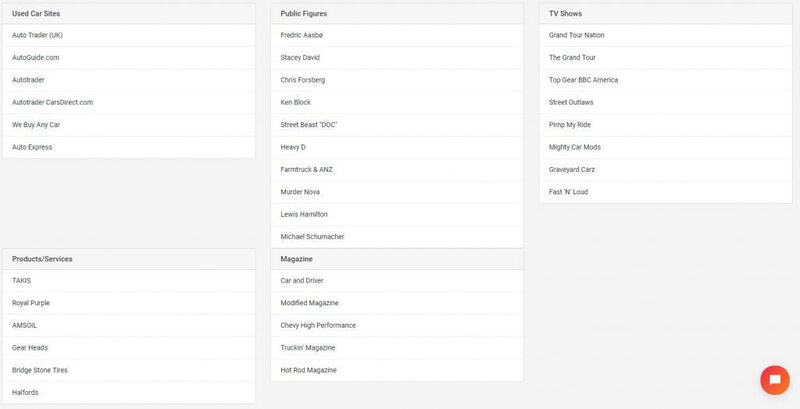 It’s quite basic but still useful for finding products to sell online, although anyone looking for niche products and lots of helpful marketing data on these may find the free membership somewhat lacking. The basic membership tier offers good value for money across the board. Access to the videos and advertising templates is great for Facebook adverts, while one click importing removes a lot of hassle. The data on supplies and product engagement is also handy for building your marketing campaigns. The professional plan membership is Dropship Spy’s comprehensive membership package. It includes access to everything the site has to offer, including those on all previous membership tiers with a few additions. The additional fee may be worthwhile if you want to really focus on influencer marketing. Requests are useful for those very precise niche products you may be looking for, but other than that it’s not much of a cut above the premium membership. That said, if you’re finding success with influencers then it may be worth investing in. So, is Dropship Spy worth your money? Does the free membership offer enough on its own? It depends mostly on your specific needs, but most online retailers running a small eCommerce business will find plenty of use from Dropship Spy. 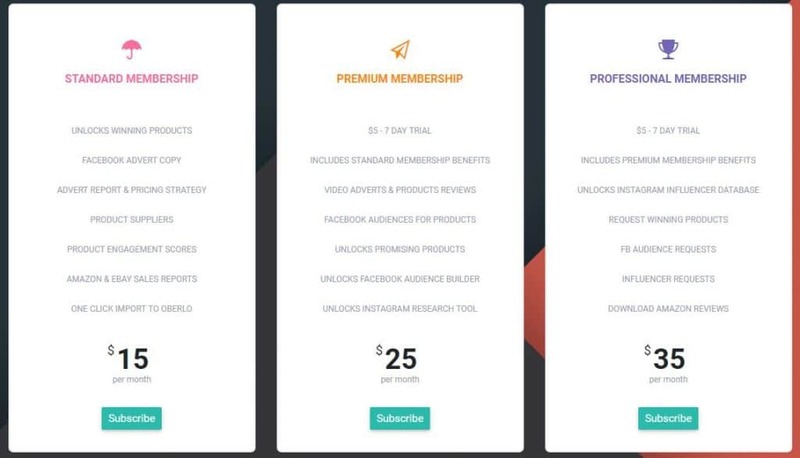 The basic and premium memberships give access to the sites most useful features however, with the various product databases and information about Facebook Audiences and Instagram info being especially useful. Newer retailers may also like features like the Facebook Audience Builder, free product descriptions, copy, and videos, as it makes starting your own marketing campaigns a lot simpler. You could certainly get most of the data that Dropship Spy provides on your own, but the time and effort needed for that may be significant, so it can certainly pay for itself when using all this info wisely.